OMG! I get nothing done once that game starts, I can't pull myself from the screen. And what an awesome game it was! 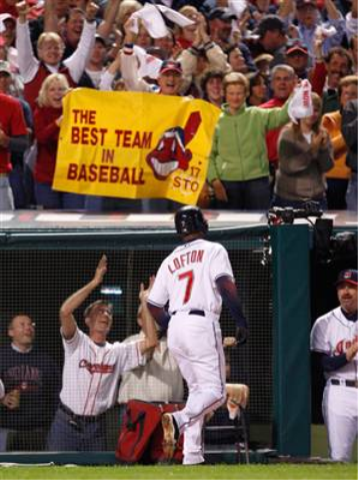 When Lofton hit that homerun everyone was cheering, I was screaming - although my family is used to my baseball enthusiasm. It was so fun just watching the fans in the stadium and around downtown Cleveland! Just because something is cheap isn't always a good thing. 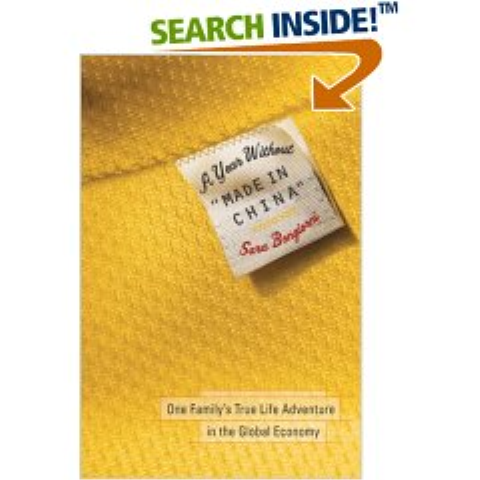 while reading the book A year without "made in China" it has really hightened my senses to checking the labels on the things I purchase and trying to be more conscious of them. It says that 90% of the items in Target's $1 spot are "made in China" and sure enough when I went through there today to pick up stuff for Halloween I seen it with my own eyes. All the buckets "made in China", lighters "made in China", toys "made in China" - While I don't know if I'm going to follow the book and try and survive in a world without anything made in China for a year, I sure am going to make more decisions based on the fact of where things are made.